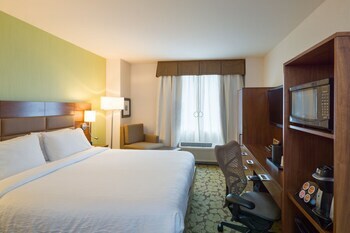 A stay at Hilton Garden Inn New York/Manhattan-Midtown East places you in the heart of New York, minutes from Bloomingdale's and Chrysler Building. This hotel is close to Rockefeller Center and Grand Central Terminal. Make yourself at home in one of the 206 guestrooms featuring refrigerators and flat-screen televisions. Wired and wireless Internet access is complimentary, while MP3 docking stations and premium TV channels are also offered to provide entertainment. Conveniences include phones, as well as desks and microwaves.